Neat! Are there any specifics on the modifications? it looks like it fits perfectly, so you don have to worry about centering it. Just drill holes and bolt the larger rotor onto the stock one. Just need to find the right caliper, and make a braket. Also you have to make a spacer to accomidate the fact the rotor is closer to the wheel face now. So what are we doing here??? Modifying the rotor to bolt that on? I am slightly confused... lol! Well from the summit link its a vented rotor. Probably a little bigger too but I dont know the stock measurements to compare. Using the stock rotor "hat" and modify to mount a bigger vented rotor. The hat is the expensive part of the rear BBK, thats a lot of aluminum to machine. true, though you only need to do it once. But between the machining on the rotor, and the machining for the brackets, and the cost of whatever caliper you find that will work you could probably get one of Lee's kits and have the R&D and customer support backing it up. If you enjoy tinkering and screwing around it could be an option though. I dont know how much a machine shop would charge to turn down the stock rotor just so it is big enough for a bolt flange for the new rotor. Im running hawk hp+ in the rear now and they work well, but not optimal brake biased with the 280mm ex kit up front. Im going to try and install an adjustable biased valve when I drop the rear sub frame next year. How do I change the rear brakes on my E30? I have them in bits but I cant get the piston to go back to make space for the new "bigger" pads. They should compress just like the front ones. If your won't then chances are the piston is seized and the calipees need to be rebuilt or replaced. 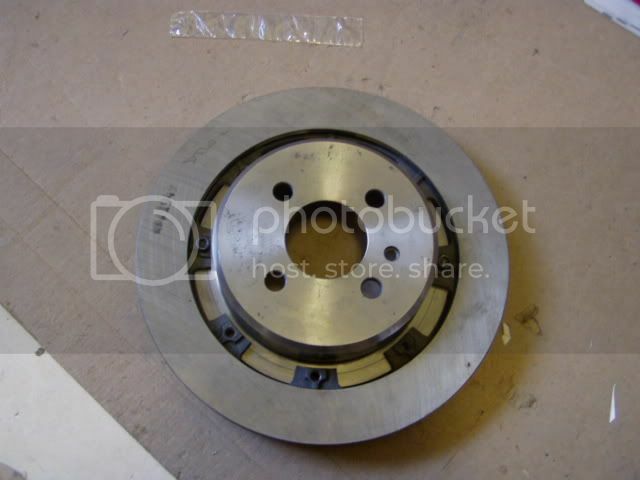 Daniel1 wrote: How do I change the rear brakes on my E30? I've never had to do anything special to compress the pistons. Sometimes it does take some effort, though. You might have corrosion in the caliper cylinder. If you truly can't get the piston to move, you may need to rebuild the calipers. Yeah, dont feel like moving posts. OP, please start a new thread if you have more questions.